Have a question for Suites Gran Via 44? 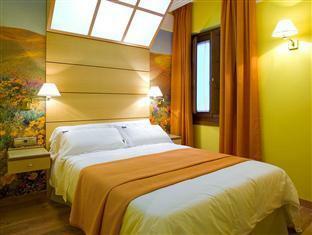 Ideal for fun and relaxation, Suites Gran Via 44 is located in the City Center area of Granada. From here, guests can enjoy easy access to all that the lively city has to offer. This modern hotel is in the vicinity of popular city attractions such as Basilica de San Juan de Dios, Convento de San Jeronimo, Placeta de San Miguel Bajo. Suites Gran Via 44 offers impeccable service and all the essential amenities to invigorate travelers. Top features of the hotel include 24-hour room service, free Wi-Fi in all rooms, daily housekeeping, laundromat, postal service. Suites Gran Via 44 is home to 21 bedrooms. All are tastefully furnished and many even provide such comforts as television LCD/plasma screen, linens, slippers, sofa, towels. The hotel's recreational facilities, which include skiing, massage, solarium, games room are designed for escape and relaxation. Whatever your reason for visiting Granada, the Suites Gran Via 44 is the perfect venue for an exhilarating and exciting break away. Had a very short but nice stay at this hotel. Very clean and spacious rooms. The staff were very helpful and friendly. Just a short walk from main attractions. Kitchen with dishes were impressive, great location, comfy beds. Very pleasant stay with mediocre design, but in terms of practicality, the hotel was more than adequate. Very large size, almost "apartment" style hotel room, where you can cook and watch tv on the couch. Help receptionist and excellent location. Absolutely comfortable! Easy access from train station by taxi. The size of the 1 bedroom apartment was very good. The kitchen is well equipped, although a kettle would be handy. The relax room down stairs is nice, but first thing in the morning I don't feel like doing there to make a coffee. The hotel is in a good location, a 5 to 10 minute walk to most places in town. The staff are friendly and it is a lovely hotel. 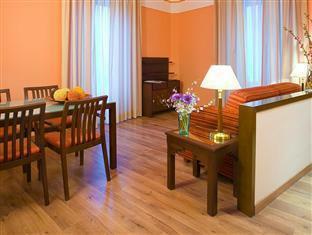 Friendly knowledgable stuff, beautiful large suites with separate bedroom and living-room. Free wi fi in the rooms. Perfect location. Reasonably priced. overall we were very pleased with the hotel. the price is relatively low, location is good and the rooms are spacious and clean. the front desk spoke good english and always ready to offer help. love this hotel would stay here again if i come again. very satisfied! It was a great location in terms of access to the airport (3€ airport bus), to Alhambra, and dining/shopping options. As it is an apartment style it is very spacious with great value for money. We had brrakfast delivered to the room one day which was tasty, convenient yet affordable. The staff, although not the most fluent in English, made up for it in helpfulness and friendliness. Everything - location, decor, beds, receptionist - loved it! 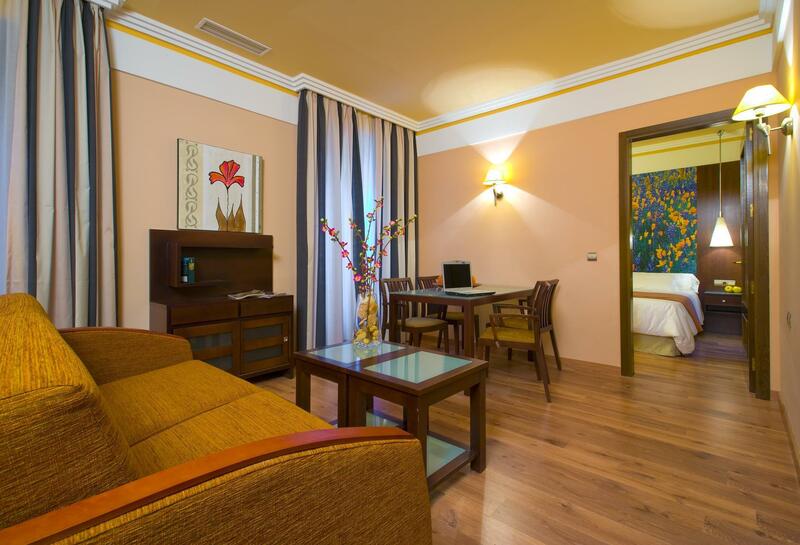 Upon walking in, i was extremely happy, we had a 2br apartment and it was spacious with very modern decor. A beautiful place that looked just like a new condo. The rooms were a good size, the beds were heaven to sleep on and the kitchen had everything that you could want for amenities. Location was excellent and close to everything. The girl at the front desk was a real sweetie who answered all our questions and offered suggestions - we loved her. All in all - great place, not cheap but you'll love it! L'arrivée en voiture à Grenade s'est révélée compliquée (surtout pour trouver une place), mais nous avons fini par nous faufiler dans une cour en chantier où d'autres véhicules stationnaient, puis avons rejoint l'hôtel. L'accueil a été charmant, comme j'étais inquiet de savoir s'il était sûr de laisser ma voiture à cet endroit, la réceptionniste m'a immédiatement accompagné par une porte arrière vérifier l'endroit que je lui indiquais, qui s'est révélé être seulement à deux pas de l'hôtel par une ruelle piétonne. Je n'ai pas souhaité en profiter puisque j'étais déjà garé, mais l'hôtel dispose également d'un parking (cependant apparemment assez petit), payant bien entendu. La réceptionniste a également pris du temps pour nous expliquer comment nous rendre à pied à l'Alhambra, en nous conseillant de nous y rendre au plus vite (nous arrivions le matin) car en principe il faut réserver des billets à l'avance, mais comme nous étions en basse saison nous avons pu entrer tout de même. L'hôtel en lui-même est un immeuble vraiment agréable, je savais que j'avais réservé une "suite", mais je ne l'imaginais pas si grande ! C'est vraiment reposant d'avoir de l'espace pour se poser le soir, pour ceux qui le souhaite la petite cuisine dispose de tout le nécessaire pour se faire à manger. Nous avons pris un petit déjeuner qui a été servi à l'heure demandée, et était correct au niveau du goût, en tout cas copieux. Quant à la literie, c'est le summum du confort, je n'avais jamais eu de matelas aussi confortable de ma vie, dans un hôtel ou ailleurs. Alors certes, le prix était un peu supérieur à une chambre standard, mais franchement cela valait le coup ! Je le recommande vivement ! Sehr angenehmes und gut ausgestattetes Apartment-Hotel, zentral gelegen. Buslinien halten ganz nah entfernt. Auffallend nette Mitarbeiter. Die PKW-Anfahrt durch die Stadt ist strikt reglementiert, vorher unbedingt auf der Hotel-Homepage erkundigen, dann gibt es keine Probleme. Kleiner Parkplatz vorhanden. 거실(겸 주방), 침실, 욕실 모두 넓었어요. 세련된 느낌은 아니지만 침구류나 욕실 모두 깨끗했어요. 기본적인 식기는 물론이고 전자레인지도 있어서 간단히 장봐서 드셔도 되요. 직원들은 호의적이고 친절했어요. 위치는 메인 대로변인데 양 버스정류장 가운데에 있어서 뭘 타려고 하든 5-10분 정도는 걸어야해요. 깨끗하고 취사시설이 있어요. 방이넓고 내부인테리어가 아늑하고 좋아요. 호텔이면서 취사가 가능합니다. 깨끗하고 친절합니다. 다시가고싶습니다.